Jewish Jesus - Art Exhibit: Was Jesus a Redhead / "Admoni" like David and Esau ? 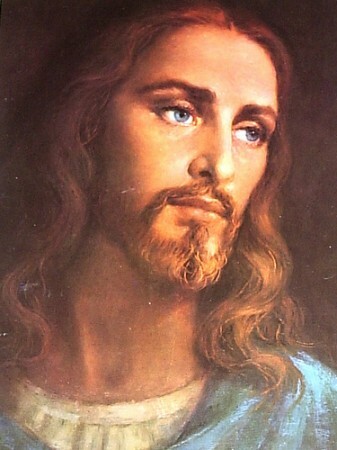 Many Renaissance and Medieval paintings depict Jesus as a fair skinned blonde, chestnut or red head with green or blue eyes. Many people believe that these depictions are based on the likeness of Caesar Borgia the son of Pope Alexander VI Rodrigo Borgia of Spanish decent. 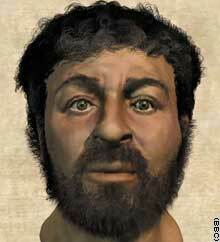 Is it possible that Jesus could have looked like this ? If you look around today you will notice that many Jewish males do in fact have red hair and green or blue eyes, especially the Priestly Cohen line. So if Jesus was from the Royal line of King David and Jacob it is possible that Jesus could have looked like this also. Yes, fair skinned, red hair and green eyes. 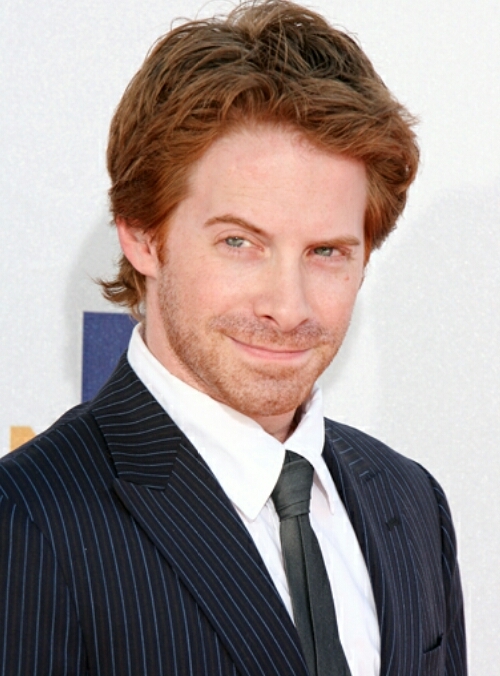 Red-head Actor Seth Green..... While often cited for promoting atheism for his quote from 2000: "God is, to me, pretty much a myth created over time to deny the idea that we're all responsible for our own actions", Green later clarified in 2014 "I believe that everyone is entitled to their own opinion. I find it sad and unfortunate how many wars are fought and lives are lost in a quest to insist that someone else pray the same way you do. I have a deep belief in the divinity of the Universe, and I had no ability to really comprehend the scope or magnitude of all the things that I don't understand. But I've never been the guy who says 'I don't believe in God' or 'I don't believe in some kind of overlaying, governing force that makes everything symmetrical' and I've never been interested in being anyone's spokesman, whether it's organized religion or the opposite. I'm my own spokesperson. I take great pains to always say I only speak for me." 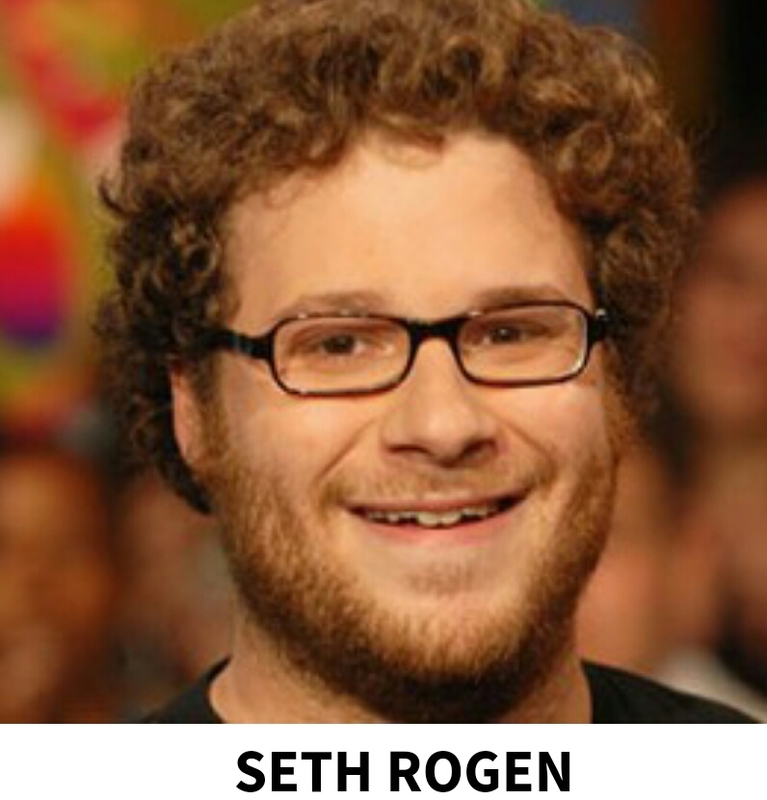 Red-head Actor Seth Rogen... Rogen was born in Vancouver, British Columbia. His mother, Sandy (Belogus), is a social worker, and his father, Mark Rogen, worked for non-profit organizations and as an assistant director of the Workmen's Circle Jewish fraternal organization. He has described his parents, who met in Israel on a kibbutz, as "radical Jewish socialists". Red-head Mark Zuckerberg Founder of Facebook was born in 1984 in White Plains, New York. He is the son of dentist Edward Zuckerberg and psychiatrist Karen Kempner. He and his three sisters, Randi, Donna, and Arielle, were brought up in Dobbs Ferry, New York, a small Westchester County village about 21 miles (34 km) north of Midtown Manhattan. 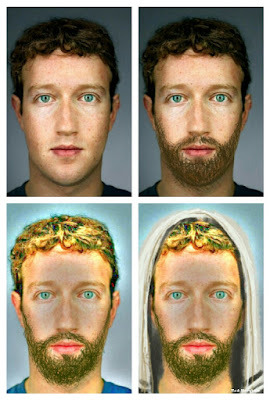 Zuckerberg was raised Jewish and had his bar mitzvah when he turned. Afterward, he became an atheist. So did Jesus look like a Neanderthal Cave man as depicted by Popular Mechanics (below) or could he have in fact looked more like many of the actual red-headed (ruddy) Hebrew and Israeli descendants that are around today ? 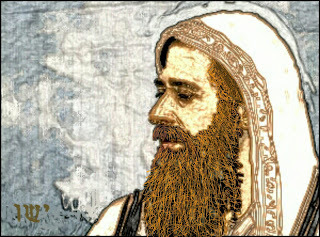 Did he look more like an arabic Osama Bin Ladin or more like a Mark Zuckerberg, Seth Green, or Seth Rogan ? Hmmmm..... 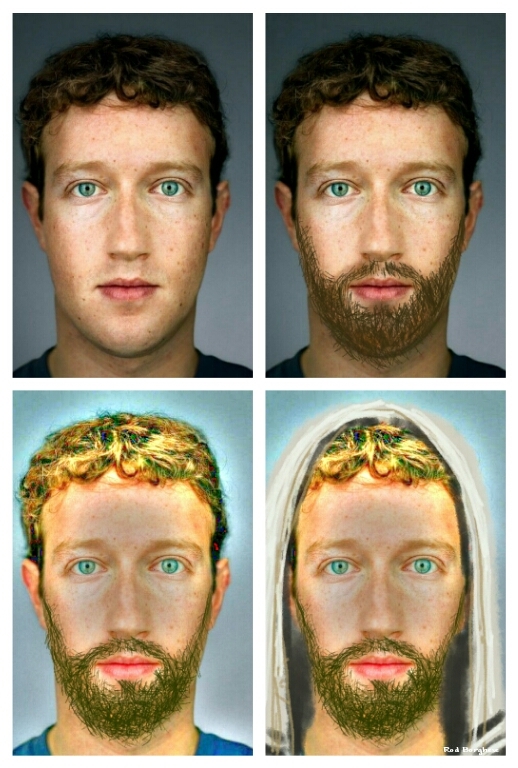 I think that I'd go with an actual living example of a red-headed Israeli Hebrew Jewish Heritage rather than a computer generated model of a neanderthal extrapolation. Did Popular Mechanics get it right ? Jacob's brother Esau was said to have been covered with red hair and King David is designated as "admoni" = "ruddy" (I Sam. xvi. 12, xvii. 42), this expression being also applied to Esau's hair (Gen. xxv. 25). Jacob (brother of red haired Esau) was the father of twelve sons: Reuben, Simeon, Levi, Judah, Issachar, Zebulun, Dan, Joseph, Benjamin, Naphtali, Gad, and Asher .... Judah and his daughter-in-law Tamar also had two sons: Perez and Zerah. Perez was the father of Hezron ...... Hezron was the father of Jerahmeel, Ram, and Caleb.10 Ram was the father of Amminadab and the grandfather of Nahshon, a tribal leader of Judah. 11 Nahshon’s descendants included Salma, Boaz, 12 Obed, and Jesse. 13-15 Jesse had seven sons, who were born in the following order: Eliab, Abinadab, Shimea, Nethanel, Raddai, Ozem, and David. "Of course, whether Esau and even David actually existed is open to question, and the description of hair as red may have been more a literary device than actual reporting. Or not. In 2000, Dr James Tabor entered a recently broken entrance to a first century tri-level tomb south of Jerusalem. Inside he found not only skeletal remains of a Jewish male, but a preserved sample of his hair. And the color of the hair was “reddish.” So the notion of red haired Jews during biblical times may not have been entirely fanciful. ..... What the percentage of red-headed Jews is today is not at all clear. What is clearer and more important is that Jews come in all shapes and all sizes and all shades, with different aptitudes, attitudes and orientations. Whether Jews started as one wandering family that settled in Egypt, grew over time, and was forged into a nation in the wilderness, or emerged from Canaanite tribes, the Jewish People today is truly a mixed multitude. Jews are a multi-national, multi-racial people whose members are bound together in different ways and to different extents by an uneven mix of religion and culture, language and literature, history and choice, and, yes, genetic material too. For some, that genetic material includes the MC1R gene that may make for redheads. Ginger Jews remind us of how varied Jews are. Ironically, the most important thing about redheadedness in Jews may well be that it is really not that important at all." "There appeared in these our days a man, of the Jewish Nation, of great virtue, named Yeshu [Jesus], who is yet living among us, and of the Gentiles is accepted for a Prophet of truth, but His own disciples call Him the Son of God- He raiseth the dead and cureth all manner of diseases. A man of stature somewhat tall, and comely, with very reverent countenance, such as the beholders may both love and fear, his hair of (the colour of) the chestnut (reddish brown), full ripe, plain to His ears, whence downwards it is more orient and curling and wavering about His shoulders. In the midst of His head is a seam or partition in His hair, after the manner of the Nazarenes. His forehead plain and very delicate; His face without spot or wrinkle, beautified with a lovely red; His nose and mouth so formed as nothing can be reprehended; His beard thickish, in colour like His hair, not very long, but forked; His look innocent and mature; His eyes grey, clear, and quick- In reproving hypocrisy He is terrible; in admonishing, courteous and fair spoken; pleasant in conversation, mixed with gravity. It cannot be remembered that any have seen Him Laugh, but many have seen Him Weep. In proportion of body, most excellent; His hands and arms delicate to behold. In speaking, very temperate, modest, and wise. 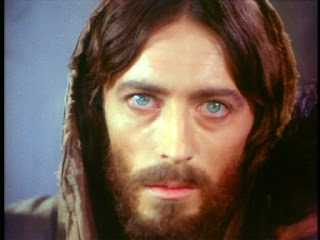 A man, for His singular beauty, surpassing the children of men"
This is a reprinting of a 1st Century letter from Pontius Pilate to Tiberius Caesar describing the physical appearance of Jesus. Copies are in the Congressional Library in Washington, D.C. The Acts of Pilate and these letters are referred to by Church Fathers in 325 AD. So the origin of a chestnut, red, and golden haired Jesus is much earlier than the Renaissance or Middle Ages. Was there a Jewish man named Jesus, a descendent of King David who was executed for claiming to be God ?" Are there any non-Biblical Sources that corroborate such a Tall Tale ???? MISHNAH: IF THEN THEY FIND HIM INNOCENT, THEY DISCHARGE HIM; BUT IF NOT, HE GOES FORTH TO BE STONED, AND A HERALD PRECEDES HIM [CRYING]: SO AND SO, THE SON OF SO AND SO, IS GOING FORTH TO BE STONED BECAUSE HE COMMITTED SUCH AND SUCH AN OFFENCE, AND SO AND SO ARE HIS WITNESSES. WHOEVER KNOWS ANYTHING IN HIS FAVOUR, LET HIM COME AND STATE IT. GEMARA: Abaye said; It must also be announced: On such and such a day, at such and such and hour, and in such and such a place [the crime was committed], in case there are some who know [to the contrary], so that they can come forward and prove the witnesses Zomemim. AND A HERALD PRECEDES HIM etc. This implies, only immediately before [the execution], but not previous thereto. In contradiction to this] it was taught: On the eve of the Passover Yeshu was hanged. For forty days before the execution took place, a herald went forth and cried, 'He is going forth to be stoned because he has practised sorcery and enticed Israel to apostacy. Any one who can say anything in his favour, let him come forward and plead on his behalf.' But since nothing was brought forward in his favour he was hanged on the eve of the Passover! — Ulla retorted: 'Do you suppose that he was one for whom a defence could be made? Was he not a Mesith [Enticer], concerning whom Scripture says, Neither shalt thou spare, neither shalt thou conceal him? 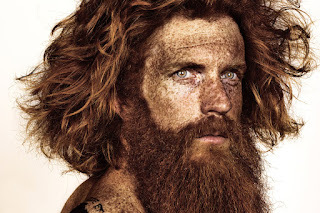 Genesis 25:25 And the first one emerged red-headed; he was completely like a coat of hair, and they named him Esau. 26 And afterwards, his brother emerged, and his hand was grasping Esau's heel, and he named him Jacob. Now Isaac was sixty years old when she gave birth to them. Samuel 1 16:12 And he sent and brought David, and he was read-headed, with beautiful eyes, and handsome appearance. And the Lord said, "Arise, Anoint him, for this is He." 13 And Samuel took the horn of oil, and anointed him in the midst of his brothers. And a spirit of the Lord passed over David from that day forth, and Samuel arose and went to Ramah. NO he wasnt. Edomites features are a curse. Why would he be an edomite. The whole nation of edom is going to be destroyed. Secondly all of Judah was black. Solomon from the tribe of Judah Says in the first passage he is Black and comely which means black and beautiful. Solomon 1:5 I am BLACK but comely. O ye daughters of JERUSAELEM. Jeremiah 14:2 Judah mourneth, and the gates thereof languished, THEY ARE BLACK UNTO THE GROUND. Lamentations 4:8 Their VISAGE is BLACKER than a COAL. The entire tribe of Judah is and always will be BLACK. What Caucasian tribe do you know. Be honest with yourself. How could could they hide among the Egyptians if they were red hair and blue eyes. Why would leprocy and red hair and red skin because their blood showed forth through it be a curse yet the savior of Israelites be exactly that? Samuel 1 16:12 doesnt even say that. They were shocked at esaus birth because he didnt look normal. Samuel 1 16:12 And he sent, and brought him in. Now He was ruddy, and withal of a beautiful countenance and goodly to look to. And the LORD said, Arise, anoint him: for this is he. Samuel 1 16:7 But the LORD said unto Samuel, Look not on his countenance, or on the height of his stature; because i have refused him: for the LORD seeth not as a man seeth; for man looketh on outward appearance, but the LORD looketh on the heart. Enjoy that cut by the way. Great article with proven facts! Judging by the salty NPC meme comments you have messed up their afro-centric coding with TRUTH. The truth must hurt - it's cauing their OS to malfunction because it relies on nothing more tha modern day victimhood and self-important misinterpretation of scripture.